First Soulja Boy, then Wiz Khalifa, and now Machine Gun Kelly! 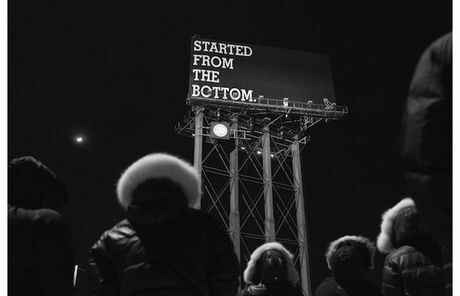 Everyone wants to hop on Drake’s “Started From The Bottom” beat produced by Mike Zombie. They all have their own story about how they got where they are but who spit their bars the best? Personally I think Machine Gun Kelly killed this freestyle but what do you think? With rumors spreading of Drake‘s new record to come out On Grammy Day, the single dropped earlier than expected. Drake releases his highly anticipated lead single “Started From The Bottom”, which will serve off his upcoming studio album. Produced by Mike Zombie. After signing to OVO, Mike Zombie released the video to ‘No Name‘. If you ain’t familiar you better get familiar. I can tell you Mike is the future ! Check out the video above and let me know what you think.